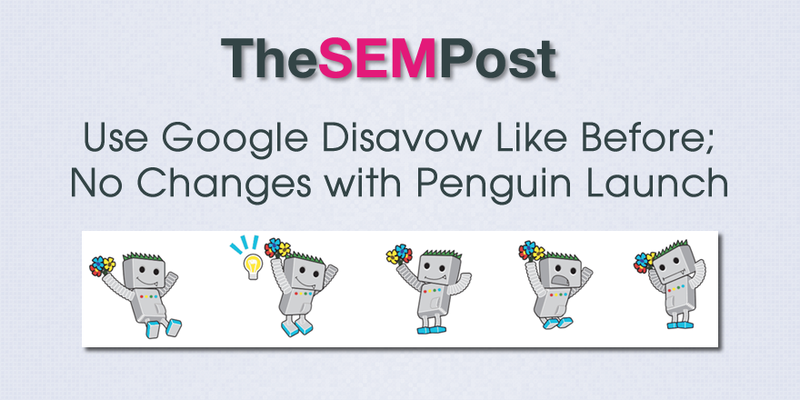 The new launch of Google Penguin on Friday does not change how site owners should be using the Google disavow tool. Some were questioning whether the changes with Penguin meant site owners would no longer need to disavow to recover from Penguin, or that they would need to use it at all going forward. John Mueller from Google commented that disavow should be used thoughtfully, as before. I also confirmed this with Google as well. “We haven’t changed the disavow feature or our recommendations for it,” a Google spokesperson confirmed with The SEM Post regarding disavowing. Google launched the new real time Penguin on Friday which will allow site owners that have cleaned up their bad backlinks to recover from a previous Penguin hit and which can also impact new sites that were not impacted previously by Penguin.